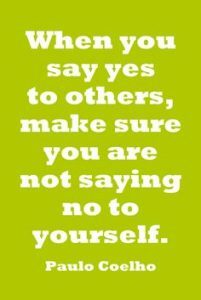 Make Yourself Better Monday: Be Happy and Healthy and Just Say "No"
Welcome to Fit1 Bootcamp’s Make Yourself Better Monday! Every Monday we share a post aimed to support you on your health and wellness journey. 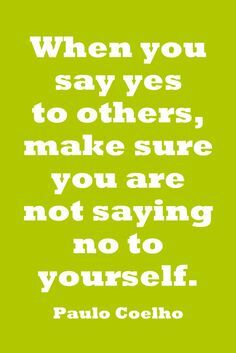 This week’s self-improvement tip is based on Paulo Coehlo’s quote “When you say yes to others, make sure you are not saying no to yourself”. 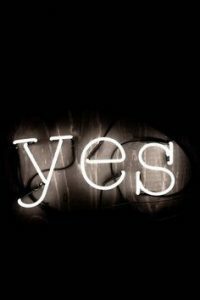 Most of us are guilty of sacrificing our time, nutrition, health, wellness, and happiness when we say “Yes” for the sake of our families, friends, and work. “No, I can’t take the kids to hockey practice again, but I can drop them off if another parent will pick them up”, “No, I can’t go to lunch, but I can join you for a tea after I eat my nutritious packed lunch”, “No, I can’t meet up after 9pm on a weeknight, but I would love to have you over for an earlier dinner, or meet up on the weekend” (meet up at Karma Co-Ed Bootcamp on Saturdays at 9am!). We challenge you to try saying “No” this week, and say “Yes” to nutritious eating, sleeping for at least 7 hours per night, setting healthy boundaries with your time, and scheduling non-negotiable workouts! Join the community of supportive and motivated bootcampers of all ages, sizes and backgrounds at Fit1 Bootcamp! Our indoor bootcamps take place in a state of the art private training gym, 5 minutes walk west of Islington Subway Station. Skip the crowds at the chain gyms, and experience fast, effective and lasting results.